A new micro-grid power switching device that can optimize and provide sub-cycle switching for the power originating from renewable energy and other sources to meet real-time usage requirements is being introduced by Diversified Technologies, Inc. (DTI) of Bedford, MA. 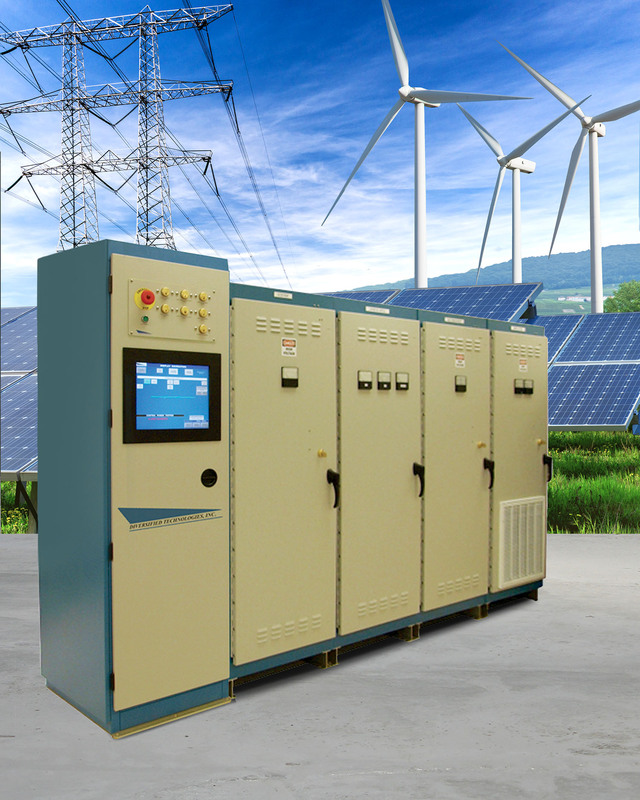 The DTI Micro-Grid Power Controller is a medium-voltage switching device that can store power from renewable energy sources such as solar cells and wind farms and be coupled onto the grid to meet peak load requirements. Providing bi-directional power flow, key elements of the system include a grid-tied inverter at medium voltage and a lower-voltage DC bus for high reliability. 4-7.5 kV AC through an inverter. Consolidating converters, transformers, and all other hardware, it is scalable to multi-megawatt levels for neighborhoods, industrial campuses, and military bases. The DTI Micro-Grid Power Controller price has not been established. The firm is seeking commercial or industrial partners for distribution.